1984: Graduated from Hokkaido University School of Medicine. 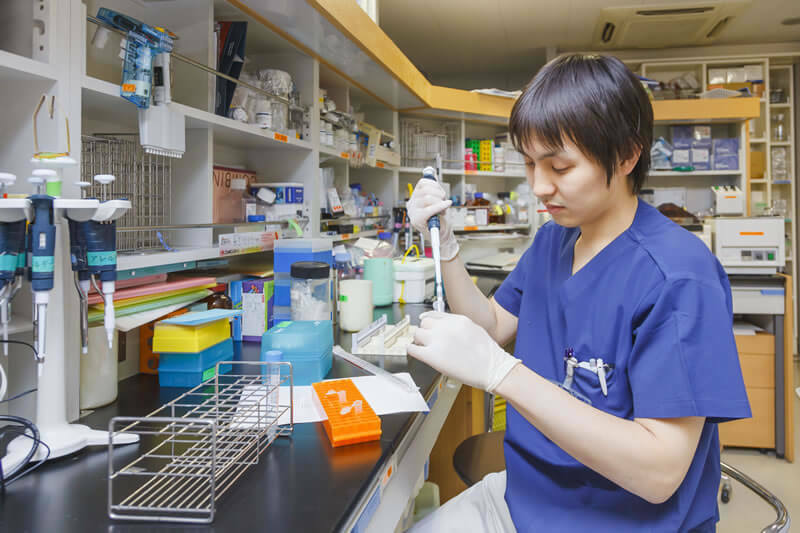 1989: Completed Hokkaido University Graduate School of Medicine (Doctor of Medicine degree), Hokkaido University School of Medicine, First Department of Pharmacology, research associate. 1989: Hokkaido University School of Medicine, First Department of Pharmacology, lecturer. 1989-1990: Participated in research at the University of Michigan, U.S., related to central nervous system serotonergic neurons. 1991: Hokkaido University School of Medicine, First Department of Pharmacology, associate professor. 1997: Hokkaido University School of Medicine, First Department of Pharmacology, professor. 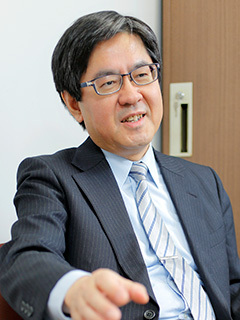 1998: Professor at Hokkaido University Graduate School of Medicine, Department of Neuropharmacology. Until the present. Through clarification of the mechanisms of human emotion, contribute to research and development into treatment drugs for psychiatric disorders. Emotions such as anxiety, fear, impulsiveness, joy, and depression are mental functions characteristic of humans and many other organisms. 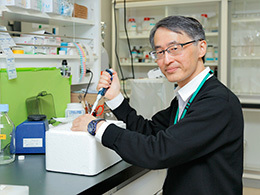 In the neuropharmacology area headed by Professor Mitsuhiro Yoshioka, research is being pursued that focuses on monoamine neurotransmitters such as serotonin, using experimental methods across a wide range of fields such as molecular biology, immunochemistry, immunohistology, neurochemistry, electrophysiology, behavioral pharmacology, and optogenetics. 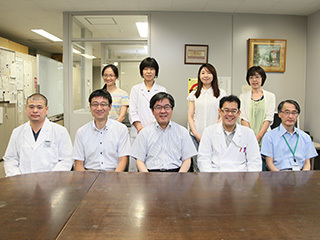 In the group led by Associate Professor Takeshi Izumi the main pursuits are (1) research into anxiety, using fear conditioning models, and (2) research into the pathology of depression, using chronic stress models. In the research into anxiety, a memory of anxiety and fear is implanted into rats and their behavior is observed based on that memory, and the anxiolytic mechanisms of serotonin re-uptake inhibitors (SSRIs) are also investigated. It is believed that there is a deep relationship between anxiety and serotonin, and research has clarified that SSRIs act on the part of the brain called the amygdala. 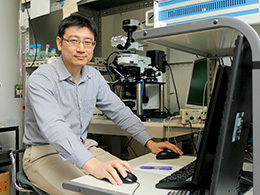 The research performed by Assistant Professor Takayuki Yoshida involves (1) electrophysiological and functional morphological research into the neural circuits that control emotions such as anxiety and fear, and (2) behavioral analysis of changes in emotional functions, and elucidation of neuronal foundations, in juvenile-stage mice that are loaded with stress, and in genetically modified mice. This research also focuses on the amygdala, using the method known as the patch clamp method that records electrical signals generated when neurons are active. This has gained attention as research that is closing in on cellular mechanisms when animals feel anxiety. 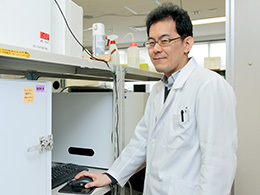 The group of which Assistant Professor Yu Ohmura is the leader is researching (1) the neural mechanisms of anxiety, depression, and impulsiveness, using optogenetics, and (2) genetic background and the mutual interactions among the actions and side effects of drugs, using genetically modified mice. Optogenetic analysis is a research method that has recently been receiving a lot of attention, in which channelrhodopsin-2, which is a photoreceptor, is selectively expressed on certain neurons (in this research, serotonin neurons), thereby making it possible to manipulate the activity of nerves of specific types and in specific locations, and to identify the cause-and-effect relationships with behavior. 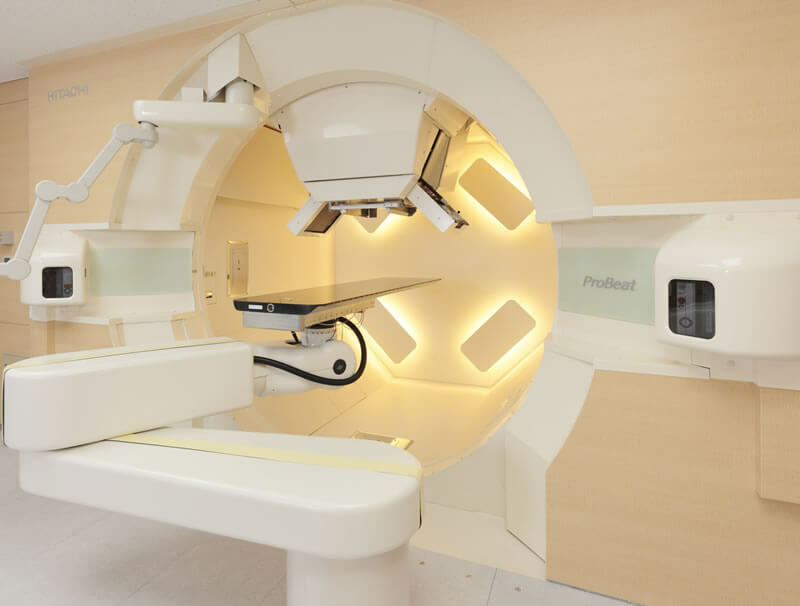 Even in Japan there are only a few leading-edge research methods, and research is being performed jointly with Nagoya University and Keio University. We expect to contribute to leading-edge research in neuroscience that will lead to a great discovery that will add a new page to the textbooks. Fostering multi-faceted viewpoints within teams, and making it possible to grow as researchers. "The greatest characteristic of this field is that within a single laboratory it is possible to study everything from the level of a single cell to the level of the system of an entire biological organism. Research is usually specialized into multiple fields, but here we perform experiments and analyses on various scales ranging from the micro to the macro." In the laboratory we have a wide variety of research methods and experimental facilities, such as for neuroanatomical analysis, neurochemical analysis, molecular biological analysis, electrophysiological analysis (in vitro, in vivo), optogenetic analysis, and behavioral pharmacological analysis, and team research involves not just the medical school but also the pharmaceutical science, science, and letters (psychology) schools as well as visiting students from foreign countries. "Today is not an era in which a single researcher can make a proposal, execute it, and publish a paper on it. You have to form a team and produce results such as 1 + 1 equals 5 or 6 in order to stand alongside the rest of the world. So, teamwork is extremely important. 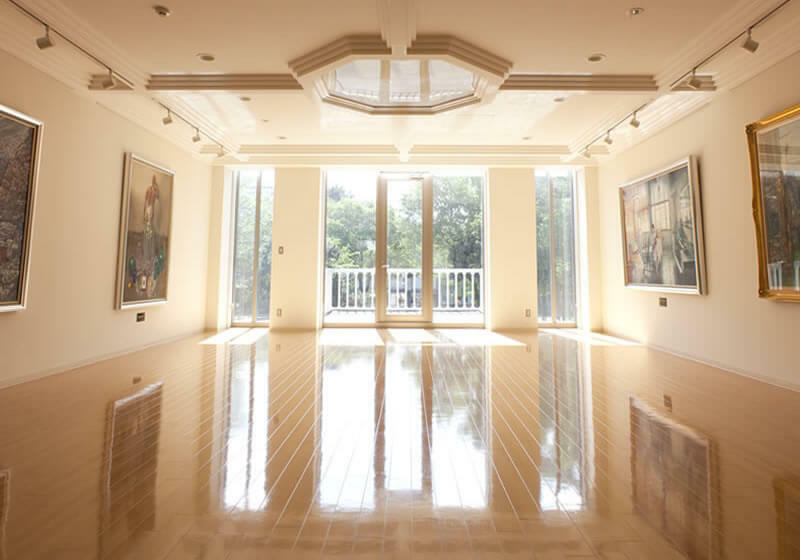 This field has experts in various areas from the cell to the system of an organism, and through collaboration one gets a deep knowledge of research methods that are outside one's own area of specialty, and one can acquire the ability to criticize. The ability to view critically, rather than accepting everything, is necessary not just for researchers but also for clinical doctors." "The job of a medical doctor requires continuously polishing one's skills throughout life. Therefore, which medical department you choose is less important than meeting a mentor whom you want to stick with. Graduate school may only be a short, four-year period of your life, but it is a very important period for your personal growth. Meeting a mentor, the purpose and thrill of research, and how to be a good doctor — these are some things that I encourage you to learn." 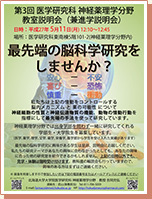 Every year in the area of neuropharmacology we hold an explanatory meeting for students planning to continue to graduate school. 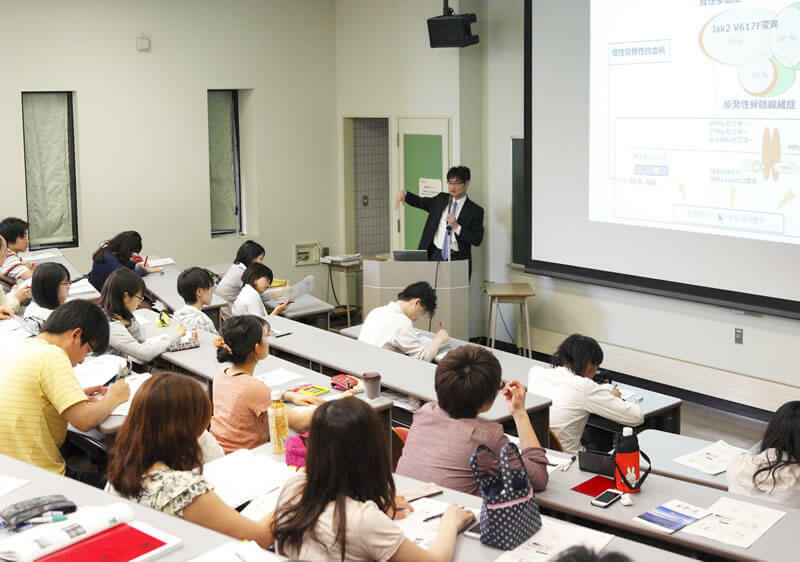 The purpose is first of all to explain research themes and research methods, but also to convey the characteristics and atmosphere of the department, and to get the students excited about it. In the past we have had experience in accepting students not just from the medical field but also from fields such as pharmaceutical science, letters, science, dental medicine, nutrition, and agriculture, and many types of collaboration arise from such a diverse population.